Have you ever looked out for the numerous books that are available on the topic of change management? With such a wide range of options, how will one know which book to select and which one will be worth reading? Here are a few books that would be very worth your time. ‘Navigating Through Change’ is the title of one book written by Harry Woodward and Mary Becham Woodward. This book presents its readers with a guide to live through all periods of change that are specific to human issues. Woodward is a change management consultant to many big IT and medical firms. In this books, he also offers a detailed strategy for change management that you can apply to a number of situations to help get through change from the very first impact up to its lasting consequences. Harry Woodward has also written another popular book titled ‘Aftershock: Helping People Through Corporate Change’. This is a practical guide to help employees survive the painful process of change in the organization. It gives you different examples of change – such as technological innovation, new management and limited resources – and tells you how to survive in each particular situation. This book has been field tested and not only does it help employees but it also helps managers to develop crucial skills and strategies to deal with the employees’ reaction to change. Another business consultant became the author of a book named ‘Managing Transitions: Making the Most of Change’. 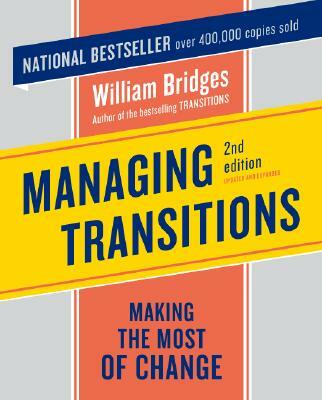 In this book, William Bridges attacks that area of change which people not only avoid, but do not even recognize. This area is the human side of change. This book addresses both employees as well as managers in the business world today who are well aware that change is required to improve the performance of a business. William Bridges herewith emphasizes on the fact that it is humans who are responsible for making the change happen. ‘Leading Change’ is one book written by John. P. Kotter that gives another view on change management. His main thesis of the book is that the reason why strategies for change often fail is because the changes do not really alter the behavior of humans. In this book Kotter points out the most common mistakes that effect change and he also provides steps for overcoming such obstacles. The process of these steps includes analyzing competition and thereby creating a sense of urgency and the identification of potential crisis. In addition to this book, John Kotter has authored another well read book titled ‘Force for Change: How Leadership Differs from Management’. Here, he not only addresses the issue of change, but also how change management is closely associated with leadership and management differences. The books mentioned above are all dealing with different aspects of change. Therefore, deciding to read these few books is guaranteed to give you an overall perspective of the issues of change management and how employees as well as managers should deal with change. About the author: Eric Lewis is an experienced blogger in various fields. He loves writing articles about translation services and books. Follow him on Google+.